Save thousands of pounds dealing with Wet and Dry Rot, This guide is aimed at competent DIY'ers and/or householders who can do the work themselves or work with a sensibly priced local joiner. This guide explains in full detail with the aid of pictures and diagrams how to eradicate Rot. 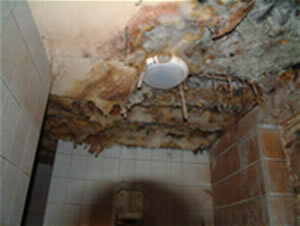 Written by an ex Rentokil Surveyor the guide explains step by step how to get rid of Rot and how to stop it reappearing. Links to professional products, tools and equipment are included.